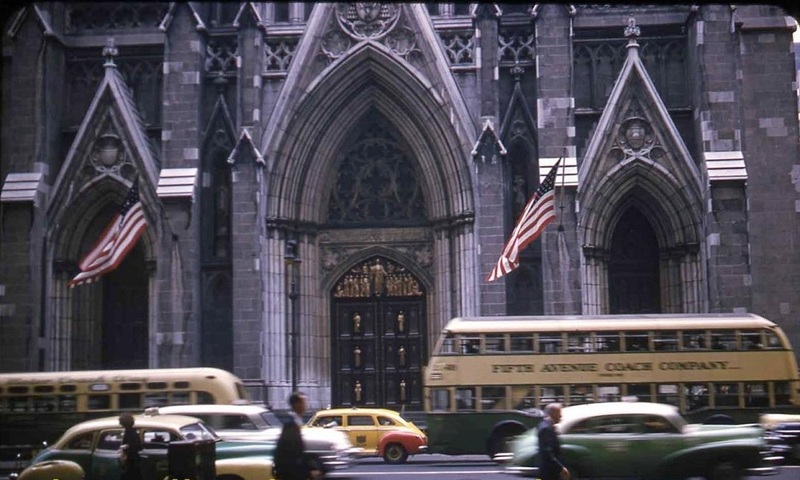 Seen in front of St. Patrick's Cathedral is a Fifth Avenue Coach Company Yellow Coach model 720, probably on route 15 Jackson Heights bound. Directly in front is a FACCo GM TDH-4506 or TDH 4507. Thanks for sharing this wonderful old photo! As I am also a vintage taxi enthusiast, this photo REALLY pops!!!!!!!!!! !